One of the most delightful things in life is finding a friend who shares a hobby with you. For me, it’s rare to find a friend who shares my love for mixology. In other words, a friend who loves making the drinks as much as drinking them. 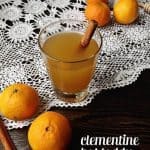 For me, it’s so much fun to try another’s cocktail concoction. It’s very curious to me to see what other people will make with similar ingredients. 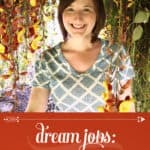 When I learned that my new pals Amanda and Paul of The Great NC BBQ Map share my love of cocktails as well as our already established love for barbecue, I asked them to design something special for Feast + West. 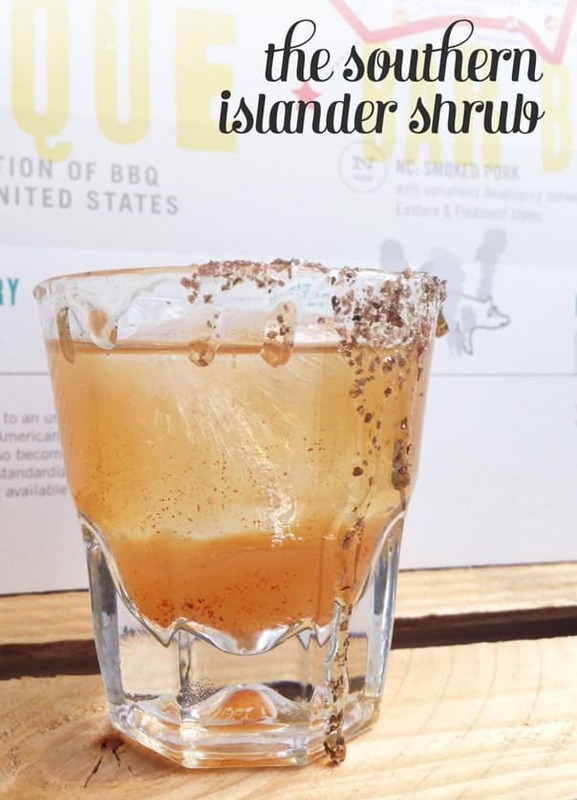 They combined both of our common interests and pulled together this Southern Islander Shrub, a unique cocktail combining bourbon, pineapple juice, honey syrup and a North Carolina vinegar-based barbecue sauce. Yes, you read that correctly. Barbecue sauce. In a cocktail. 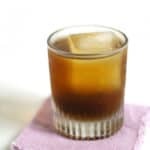 Click below for the Southern Islander Shrub recipe! 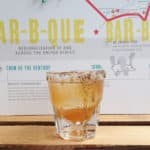 The combination of honey and pineapple juice, along with the vinegar of the barbecue sauce emulates the effect of a shrub, which is made with sugar, vinegar, and fruit. Make honey syrup. Dissolve honey in water in small saucepan over medium high heat. Let cool. Make cocktail. 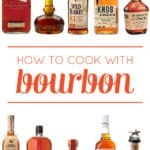 Combine bourbon/whiskey, pineapple juice, honey syrup, and BBQ sauce in mixing glass; stir. 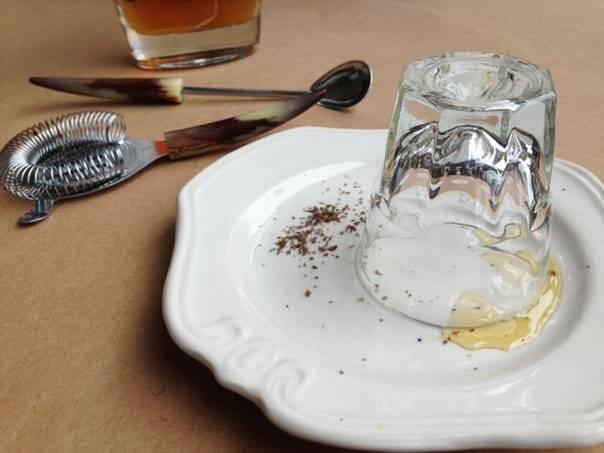 Prepare old fashioned glass with honey and hickory smoked sea salt. Drizzle a little honey onto one half of a plate, and sprinkle sea salt on the other half. Rotate top of glass to coat rim in honey, then salt. Let honey drip down side of glass for effect. Add large cube of ice to glass, then pour cocktail mixture over top of ice. Oh my this is my kind of cocktail! 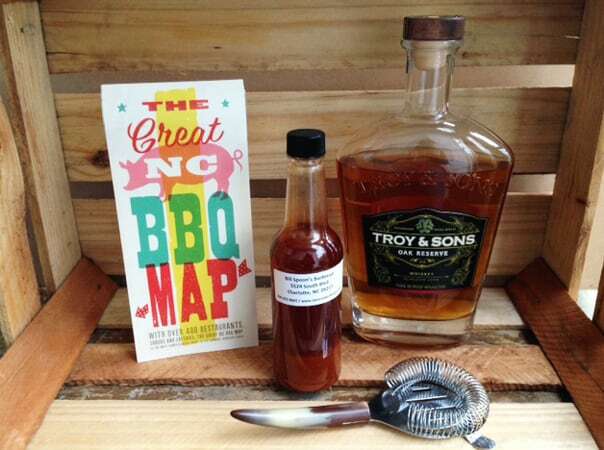 I love vinegar based BBQ sauce and bourbon so how could I not love this?! Awesome! This is a new one for me. 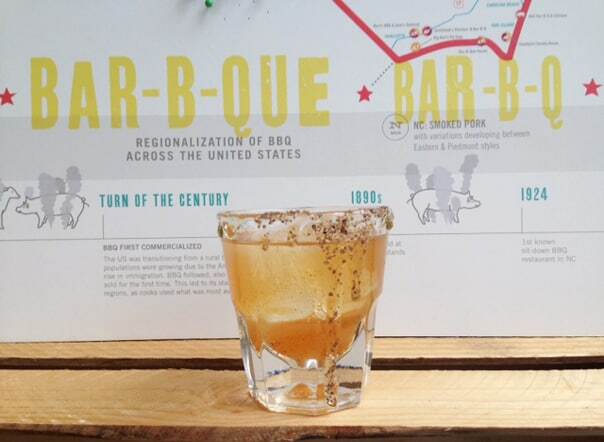 I’ve never heard of putting barbecue sauce in a drink. Great pics, too!